Metro’s Game Central published a lengthy and informative interview with Bethesda’s Pete Hines. One thing he revealed was that Wolfenstein III is in development. He said Wolfenstein II preformed adequately and that they are hard at work on envisioning the third game. GC: But did Wolfenstein II do well? Because I love those games and the second one had a much later release date than the first one and didn’t seem to make much impact on the charts. PH: Yeah, it did well! GC: I mean, we never see sales data but looking at the charts and looking at how quickly a game is discounted is usually a pretty good sign. And it seemed to… I don’t want to say flop, but it seemed flop-esque. PH: Yeah, sure. 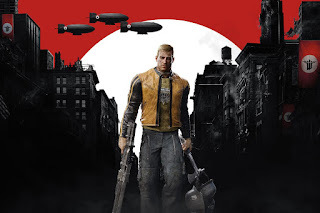 Absolutely we’re making a Wolfenstein III. They said on stage that they’re taking a break from the larger story to do this thing. But we all have to see how that ends.